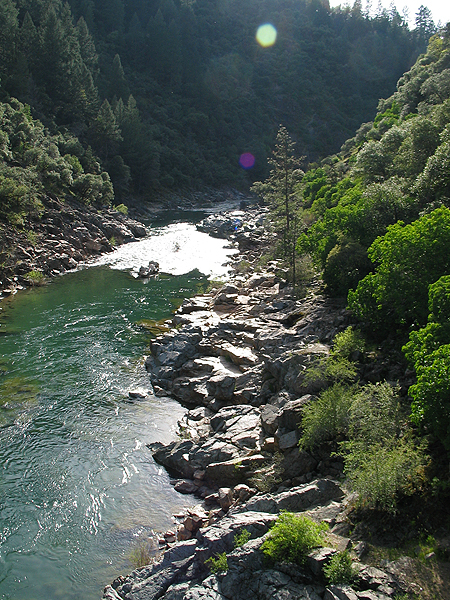 February 11, 2019: South Yuba River State Park's Highway 49 parking lot is subject to periodic closures due to snow and road conditions. Updates will be posted here. Thank you for your patience and understanding. 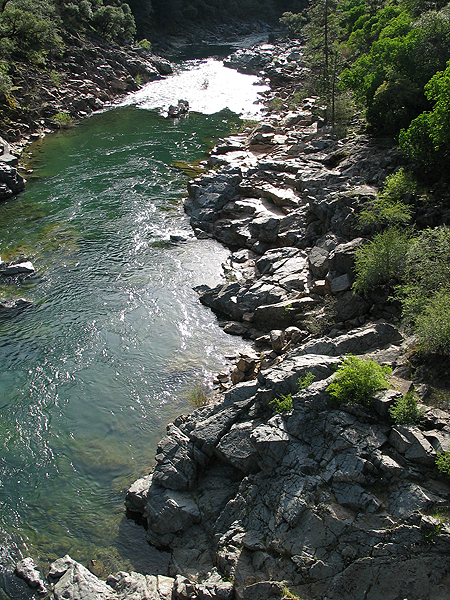 South Yuba River State Park is located off Highway 49, north of Nevada City. The park is accessible from Edwards Crossing, Purdon Crossing, Highway 49 and Bridgeport. 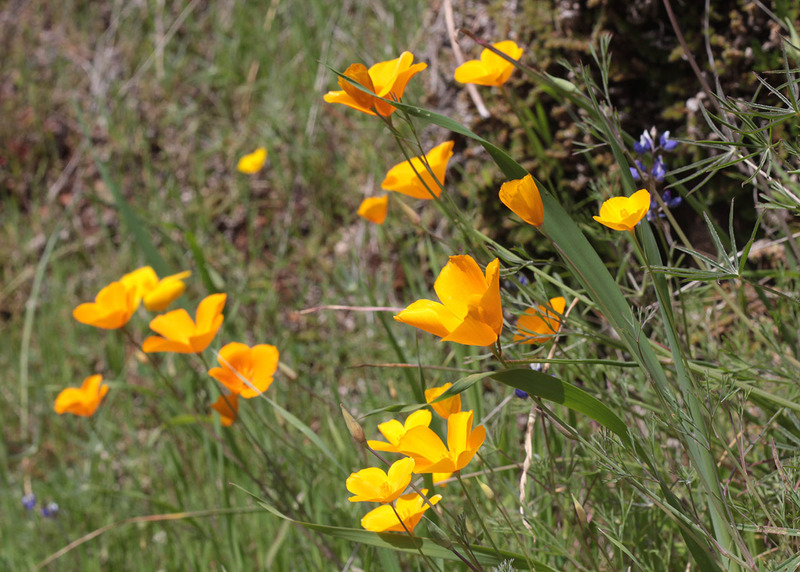 Join us for docent led wildflower walks on the weekends as we take you on a tour to see poppies, lupines, larkspur, fiddlenecks, popcorn flowers and others that are currently blooming. The walks begin at 10 a.m. on Saturdays and 11 a.m. on Sundays on the Buttermilk Bend Trail and will be available until May. They typically last around two hours but may last longer. You’ll also be able to spot the annual Pipevine Swallowtail butterflies, fluttering from wildflower to wildflower. Visitors can meet the docent in the North Parking Lot (where the kiosk is located). Interested parties can call (530) 432-2546, from 11 a.m. to 3 p.m., Thursdays through Sundays. After being closed in the fall of 2011 for structural deficiencies, the reconstruction project on the historic Bridgeport Covered Bridge is moving forward. Construction will begin this spring and will affect park operations. For the latest on the rehabilitation project and park operations, please click here. South Yuba River State Park headquarters located at Bridgeport, 17660 Pleasant Valley Rd can be accessed from Highway 20 west of Grass Valley or from Higway 49 north of Nevada City. Remote portions of the park are accessible from Edwards Crossing, Purdon Crossing, and Highway 49. 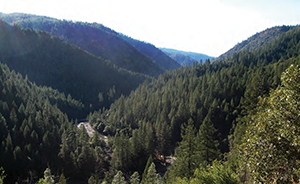 This 20-mile portion of the South Yuba River canyon stretches from Malakoff Diggins State Historic Park to Bridgeport covered bridge. 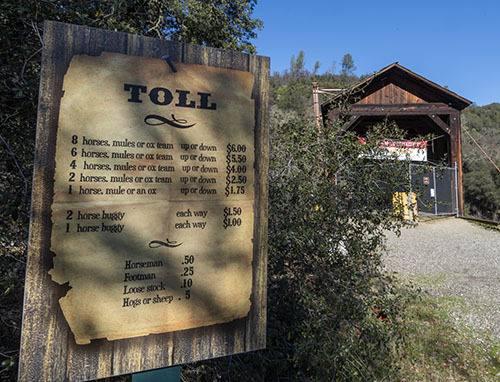 The area includes the longest single-span covered bridge in the world (currently closed for restoration), the steep rugged canyon of the South Yuba River, and the Independence Trail - the first identified wheelchair-accessible wilderness trail in the country. 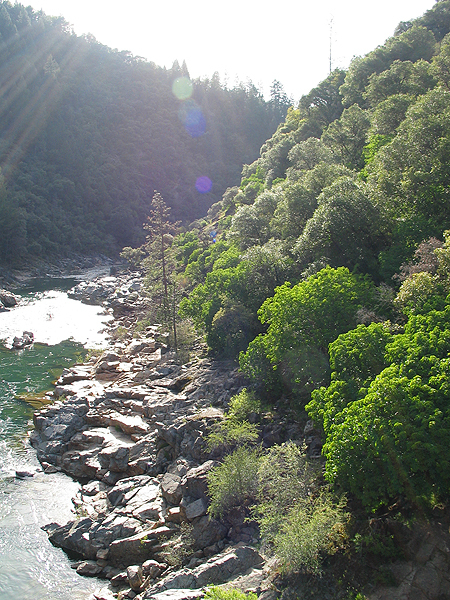 South Yuba River State Park offers many scenic vistas. 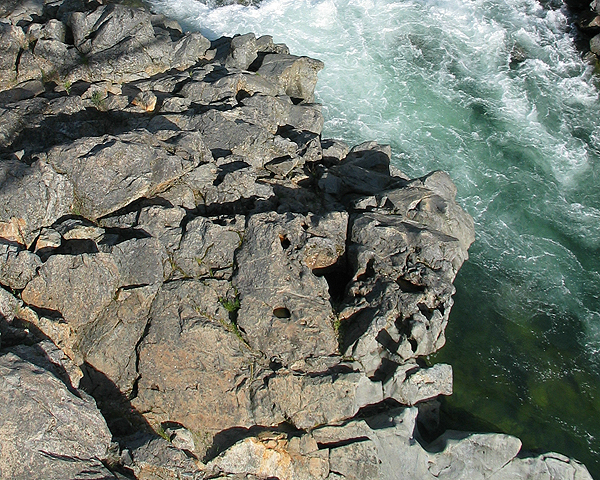 Visitors can view swift moving water carving the granitic canyon that is peppered with seasonal native blooms in sprintime, and experience refreshing swimming holes that dot the 20 mile length of the Yuba River in late summer. Along the length of the park, visitors can see several architectually different bridges spanning from the Gold Rush era to the mid-20th century. Adventuresome hikers have a choice of trails ranging in difficulty from the easiest (Independence Trail), to other more strenuous trails throughout the park. Click on the "Hiking" link above right to explore all the hiking trail options. Winter and Spring weather conditions can cause the trail to become muddy and impassable for wheelchairs. Call the park for trail condition information before you go. California State Parks thanks you for choosing our beautiful parks for your photographic activities and sharing the wonders of our park units with the world. However, in order to maintain the beauty of our parks and its natural and cultural resources, we request that all commercial, still and motion picture photographers obtain a film permit from the California Film Commission. To learn more, please visit our blog here. For specific film permit information at Empire Mine State Historic Park, Malakoff Diggins State Historic Park or South Yuba River State Park, please click here. 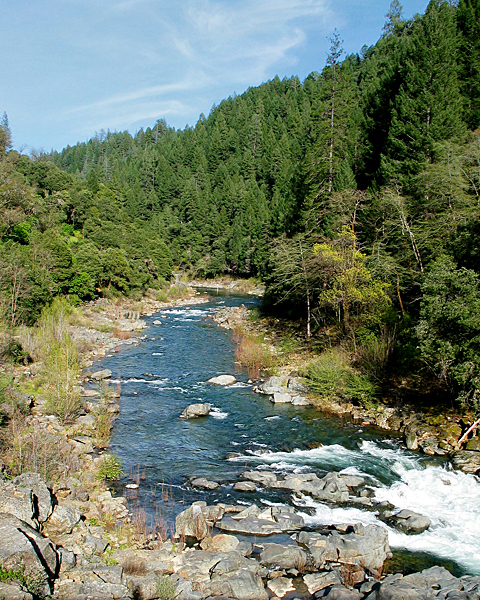 Once the South Yuba River watershed was the focal point of the California Gold Rush. 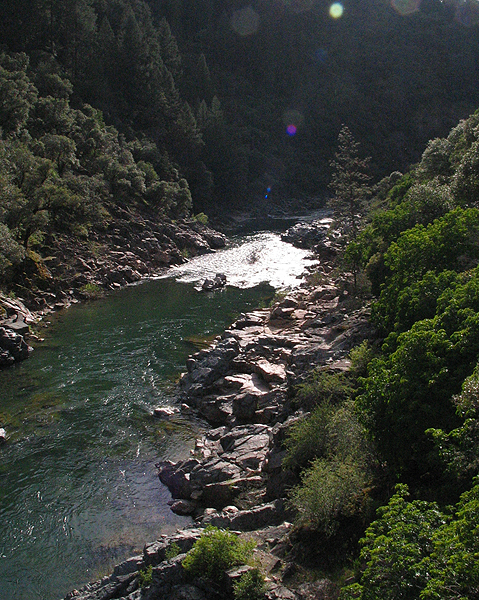 Today, it is recognized by the California State legislature as a Wild and Scenic River with scenery of “Outstanding Remarkable Value.” This park which follows the river the twenty miles provides a very scenic geologic cross-section of a part of the State that played such prominent roles both geologically and economically in California’s history. 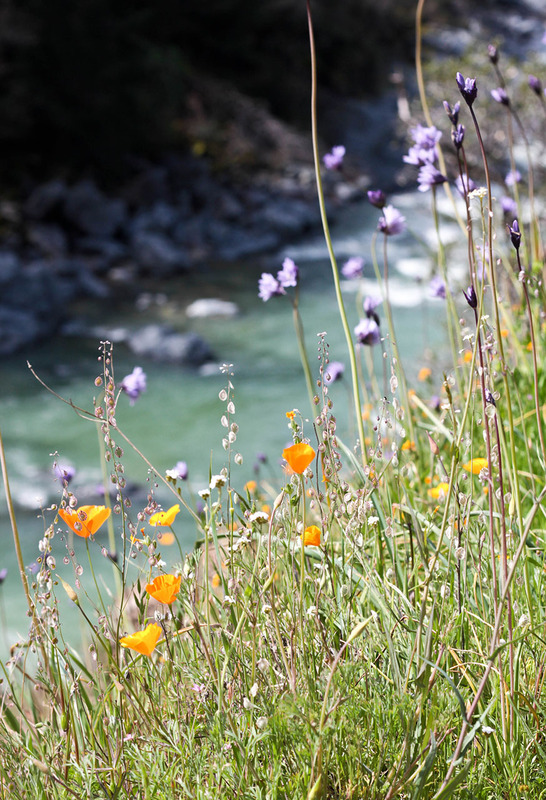 Passes Accepted: California Golden Poppy Pass and the California Explorer Pass. No National or Federal Park Passes accepted.